Where have you been I hear you ask! Sorry I’ve been gone some time – but unlike Captain Oates I have returned. Moving onto a boat, moving house, and just trying to settle back to some semblance of normality takes time! It feels like I haven’t cooked properly for 2 weeks. Surviving purely on take out and nibbles couldn’t last forever – and now I have a kitchen – a kitchen on a boat – and can get back into the swing of cooking every day. 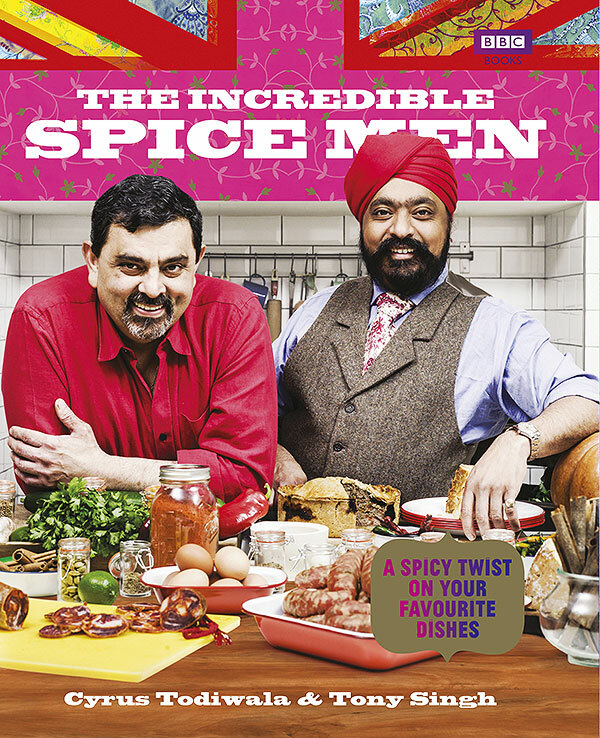 I’ve decided to make dishes from Cyrus Todiwala and Tony Singh’s The Incredible Spice Men. I first saw Tony Singh on the Great British Menu and I found him very entertaining. Very enthusiastic, very passionate, very funny – I must go to his restaurant one day! We watched the TV show that supported the book – and found the guys pretty entertaining and I figured some moderately spicy food might be nice for a change. It has to be moderately spicy as Freya really can’t do spicy. It has to be mild all the way! The chutney for the Chilli Cheese Toast for example contains 10 dried red hot chillis! I had to eat all of that! We place an Ocado order and had it delivered to the Marina where our boat is moored – and it arrived – on time – no issues. The driver even offered to help us take it to the boat. We spared him the pain of climbing down a 3 metre ladder! Lots of the recipes in this book are pretty simple – and are just subtle revisions of traditional British food. Two of the dishes I’ve chosen are essentially Baked Beans with stuff added. My boat kitchen – with proper galley layout – and an iMac on the side to show me my recipes is pretty makeshift for now. We have no running water – the oven is balanced on top of an untiled work surface – and everything else is all over the place – definitely not in the right place. So I’m not making anything complicated for now! I’ve already made half of these so I’ll get back into the blogging cycle once I find a good place for Internet reception! You don’t get all the usual toys with a boat. I’ve even had to downsize to a 32 inch TV! There’s a very good pub up the road called ‘The Magpie and Crown’. It has Delirium Red on tap – one of my favourites even if it is about £6 a pint! They also have Fruli on tap – which Freya loves! This is a good book – not a great book. The recipes are very simple – I reckon anyone could make any of them. It’s certainly a good book to get me back into cooking in a makeshift kitchen with no running water! The next book will be more exciting – promise!